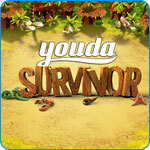 Youda Survivor Game - Download and Play Free Version! Are You the Hero the Islanders Have Been Waiting For? 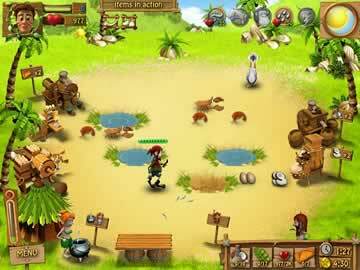 This Island is Occupied, Can You Survive? On a dark and stormy night, the ship that you travel upon is smashed by fierce waves and destroyed. The next day the sea carries you to what you believe is a deserted island, but wait! The natives of the island come to greet you. It is island legend that the sea gods would send the people a savior from a far off land to save them from the dreaded pirates. He would be as strong as thunder, and quick as the wind. Their Chief evaluates you, and he is not impressed. How can you win their favor? 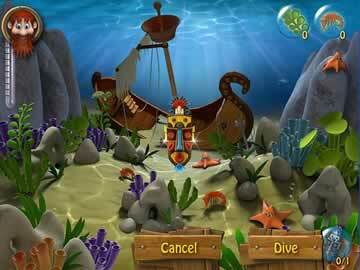 In this action filled Time Management game Youda Survivor, you must prove yourself to be the savior of the people. Dig holes to collect fresh water. Gather Seagull eggs to make potions, and build contractions that will make you life less complicated. Earn totems to increase health and strength. Be on the look out for pirates that want to steal your booty. Prove yourself to be the islanders blessed savior!